Ben Bernanke Couldn't Refinance - Mortgage Credit Market Too Tight?Ben Bernanke Couldn't Refinance - Mortgage Credit Market Too Tight? Ben Bernanke Can’t Refinance – Mortgage Credit Market Too Tight? 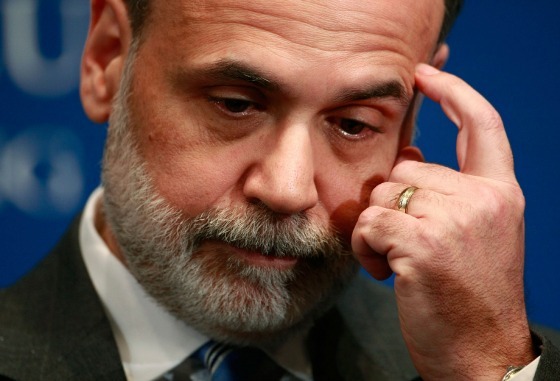 Bernanke already has refinanced twice. When the former Fed chair and his wife Anna bought their Capitol Hill rowhouse in May 2004, they took out two loans, according to Washington, D.C., land records. The first was an adjustable-rate mortgage of $671,200 with a starting rate of 4.125 percent. The 5-year ARM was capped at 10.125 percent. The second was a fixed-rate loan of $83,900. They refinanced the property in October 2009, after the ARM was scheduled to start adjusting, taking out a 30-year, fixed-rate mortgage of $685,385 and paying off both earlier loans. They refinanced again on Sept. 26, 2011, taking out a $672,000, 30-year, fixed-rate loan at 4.25 percent. I find it interesting that he chose to go with a 30-year fixed-rate loan when the economy was still in the tank and he should have known better than anyone that short-term rates would remain low for a long period of time. That was the perfect time for him to take out a fully adjustable rate mortgage in which the rate could fluctuate monthly based on the movement in Libor. The Federal Reserve is also responsible for regulating banks. The combination of much greater Federal Reserve scrutiny and Dodd-Frank have made banks far more risk-averse to generate new mortgages. This has served to make it much more difficult for people to get new loans, even for Ben Bernanke, who indirectly played a role in hurting his chances to get a new loan. During the housing bubble in early 2005, credit for buying homes was at its loosest, more than twice as available as in 1998, according to the index. Lenders raised standards after the 2008 housing collapse compelled the government to rescue Fannie Mae and Freddie Mac and the companies forced banks to buy back bad loans from them with underwriting errors. 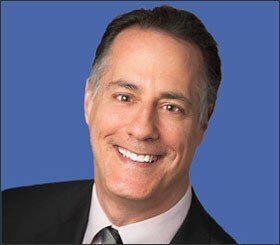 Lenders are getting penalized for “non-material minor foot faults,” said David Stevens, president of the Mortgage Bankers Association and former head of the Federal Housing Administration. Today, about 10 percent of borrowers with purchase loans have a FICO credit score of 660 or below, on a scale of 350 to 850, compared with about 20 percent in 2001, according to Taz George, an Urban Institute researcher. While low down payment mortgages have become more common, borrowing now requires more pristine credit, George said. This represents further evidence that mortgage credit remains tight and that renting will continue to capture a large percentage of newly formed households. This is also supported by a large number of kids who moved back home during the recession. In 2012 it was estimated by Pew Research that 20.2 million young adults between 18 and 30 lived at home. This was up by approximately 800,000 from two years earlier. An even more striking statistic is that the number of 26-year-olds living at home jumped by 46% between 2007 and 2012. As the labor market begins to heal, we should see a number of this large cohort start to move out and form new households. The overwhelming percentage of these will be renters. The economy continues to grow, yet not strong enough to be leading to higher interest rates or an easing of mortgage credit and households are still being formed to absorb the new supply of apartments being created in most markets while still providing apartment owners continued strong occupancies. Overall, the economic, financial, social, psychological, and demographic conditions and trends remain favorable for renting. Hey Ben, why don’t you consider selling your house and renting!